We Accept Insurance from All Major Providers! Vic Hopkins Paint & Body Shop is a family-owned body shop that has proudly served customers in Seagoville, TX since 1966. From simple dent removal to complete collision repairs, we work hard to restore your vehicle to a like-new condition. We work with all insurance companies to expedite your claims and get your auto back to you quickly! When it comes to collision repair in Seagoville, TX, Vic Hopkins Paint & Body Shop puts emphasis on quality workmanship above all else. Unlike national chains that try to push a large volume of jobs through in order to justify rock-bottom pricing, we give your vehicle the attention it needs after an accident. Our thoroughness and precision ensure every repair we make is flawless and that every customer that chooses us is completely satisfied. 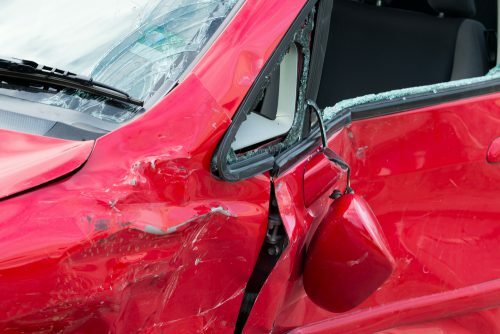 From simple dent removal, to minor collision repair, to major collision restoration and beyond, if your auto body is affected in any way, our shop welcomes it for comprehensive repairs. Vic Hopkins Paint & Body Shop is a family-owned and –operated auto body shop in Seagoville, TX and have been since 1966. We bring family values to every transaction and take the time to guarantee that all our customers are being met with friendly, reassuring service. Whether you have questions about repairs or you need someone to assist you in filing an insurance claim, know that you can come to us. We believe in doing what’s right for our community and our customers, which means you can always expect transparency and exceptional quality when dealing with our shop. Guaranteed. We are an AMI, EPA, I-Car and Mitchell-certified company, with APA, ASE and Glasurit-certified specialists available. Our team brings nearly 60 years of professional auto body repair experience to your vehicle. We’re a family-owned and –operated body shop that takes pride in a job well done! We’ve been humbled to serve Seagoville, TX residents since 1966. We can work with any and all insurance companies to help get your claim filed and processed quickly, so you can get the repairs you need. Our business is affiliated with the Better Business Bureau (BBB), the local Chamber of Commerce and the National Federation of Independent Business (NFIB). Don’t drive around with a reminder of your recent accident. Schedule an appointment with our body shop and let us erase the damage. We’ll even work directly with your insurance company!